Successfully battling through a dry and dusty GP of Portugal, Jamie McCanney has wrapped up round three of the 2018 FIM Enduro World Championship claiming a win and a runner-up Enduro 1 class result in Castelo Branco. 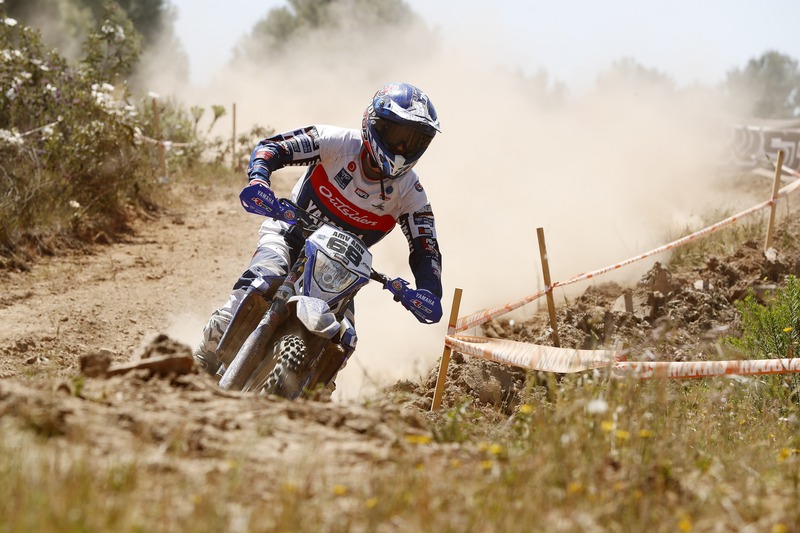 With three out of eight rounds completed, the Outsiders Yamaha Official Enduro Team rider enjoys a four-point lead in the class’ provisional championship standings. Less than a week after his double victory at the GP of Spain, Jamie entered round three of the series in Castelo Branco looking for an equally solid performance. Starting the weekend by topping the Enduro 1 standings at the short opening SuperTest, Jamie retained his lead in the class throughout day one. Securing his fourth Enduro 1 class victory of the season on Saturday, Jamie also found himself finishing as a runner-up in the overall EnduroGP class. Day two of the Portuguese GP saw the Manxman get involved in a tight battle for the Enduro 1 class victory from the first to the last special test. Winning four tests during the day, the WR250F powered rider suffered a few small mistakes that saw him place 15 seconds from a provisional day two victory. Collecting some good points in Castelo Branco, Jamie now finds himself at the top of the Enduro 1 World Championship’s points standings with five rounds remaining in 2018. Jamie McCanney and the Outsiders Yamaha Official Enduro Team return to action in Talin, Estonia for round four of the 2018 Enduro World Championship on June 1/3.